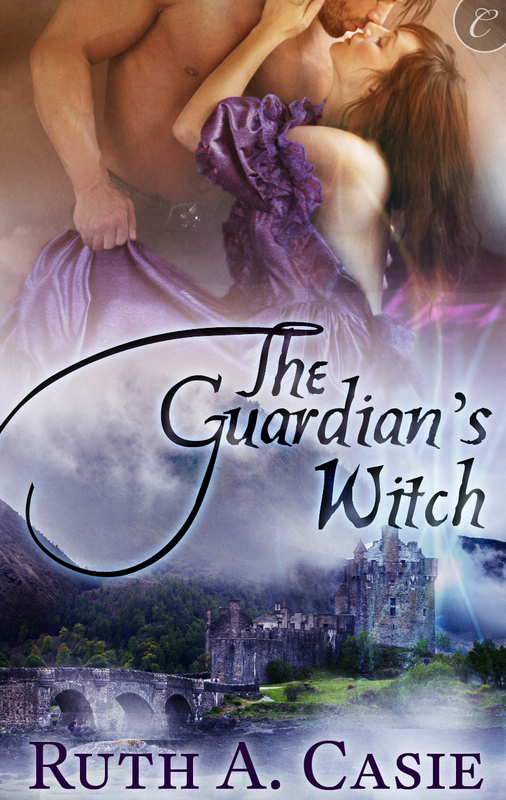 On today’s Medieval Monday, I’d like to welcome my guest Ruth A Casie who is sharing her snippet from The Guardian’s Witch. Isn’t her cover just stunning? Be sure to show Ruth some love by leaving her a comment and happy reading! Whoa! What a snippet, Ruth! Your book is waiting for me on my Kindle–I need to move it up on my list!! Sherry, thanks so much for hosting me today. I really love this story and especially this scene. Thanks for being my guest, Ruth! Thanks Suzannah. I’m so glad you like the excerpt. It’s one of my favorites, too! I love that cover too. The colours are gorgeous. Great extract. I love the cover as well. I was excited when I saw it with my title and name. The Guardian’s Witch sounds wonderful! I love the excerpt. Thank you for sharing! Wow! I could just see that happening ( so glad you told us the horse made it to shore!) I have to put this on my to read list! It is a beautiful cover. Thank you for sharing! !